Manchester City could pay the price for failing to get the Alexis Sanchez deal over the line on Deadline Day. The Chilean is in the final year of his contract at Arsenal and was expected to leave this summer. However, the Gunners’ failed pursuit of Thomas Lemar meant they refused to let the forward go. 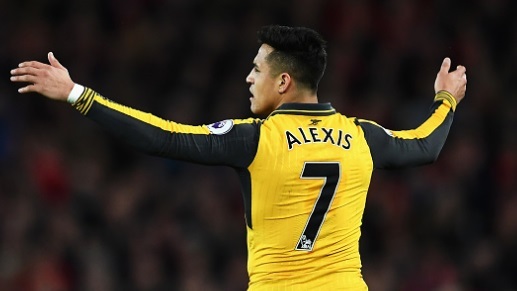 The Sun report that while City will renew their efforts to sign Sanchez in the summer, they will face competition from Manchester United, who are being attracted by his low signing-on fee of £25million. An agreement could be made in January, even if he wouldn’t immediately be free to join another Premier League club. Arsene Wenger is keen to avoid the 28-year-old joining another English side, having learned a harsh lesson when he sold Robin Van Persie to United in 2012, only for the Dutchman to help the Red Devils to the Premier League. Pep Guardiola isn’t completely decided whether to bring in another attacker, as he already has a selection headache regarding Sergio Aguero and Gabriel Jesus. There are also concerns about the player’s attitude. Sanchez has made it clear he wants to leave north London and was seen laughing after Alexandre Lacazette’s miss during the weekend’s goalless draw with Chelsea.